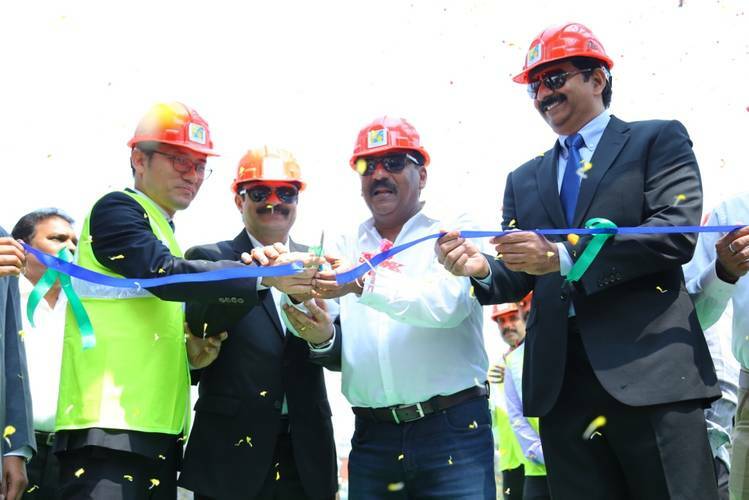 A direct weekly service of HMM’s (Hyundai Merchant Marine) ACS Service was flagged off, amid lot of fanfare, from Krishnapatnam Port Container Terminal on the February 17, 2017. Inauguration of the maiden vessel call by “M.V. 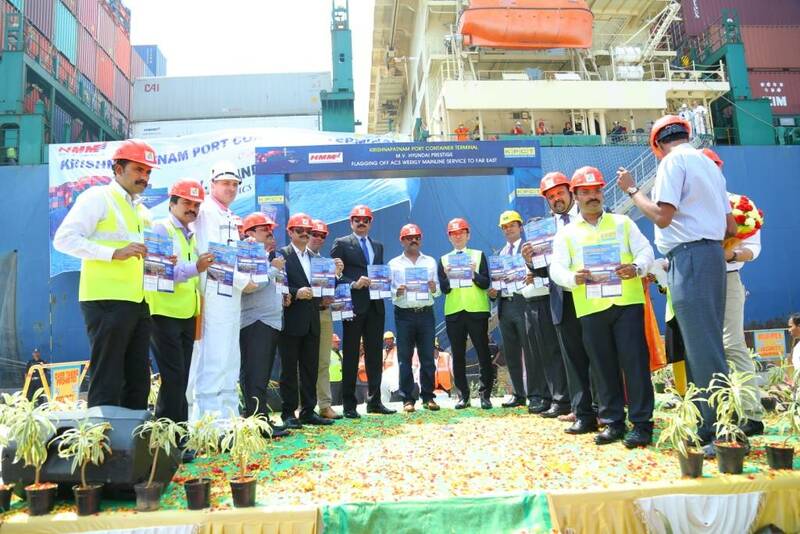 HYUNDAI PRESTIGE”, as part of ACS’s Service, has written a new chapter in the EXIM trade from East Coast of India. The KPCT team conducted a formal inaugural ceremony commemorating the maiden call with Mr. Y.D Park (MD, Hyundai Merchant Marine India) & Mr. Anil Yendluri (CEO, Krishnapatnam Port) launching the service from KPCT. Mr. Jithendra Nimmagadda (COO, KPCT) welcomed the vessel by presenting a memento to the vessel Captain Musteata Loan. Sales, Operations and Customer service teams of Hyundai Merchant Marine and their agents Choice Group along with KPCT team were part of this memorable inaugural event. This weekly service will provide fastest and most competitive service to the Exporters / importers of Andhra Pradesh, Telangana, Karnataka and Northern Tamil Nadu fastest connectivity to the ports of Port Klang, Singapore, China, Busan, US West Coast and European markets. KPCT has always been at the forefront of Indian port sector by providing state-of-the-art facilities, customer-centric services and unparalleled operational efficiencies, which is improving the competitiveness of Indian EXIM community in the Global trade. Several Mainline carriers have started their services from KPCT as the support of exporters and importers to KPCT grew exponentially. HMM team announced that this service was possible due the immense support received from the EXIM trade particularly from exporters of Tobacco, Shrimps, Cotton, Granite, Buffalo meat, Chillies, etc. and Importers of Solar panels, Furniture, Pharmaceuticals, Timber, etc. and due to the World-class facilities of KPCT.